Click on the corresponding item depending on if you’re logging in to your production org or a sandbox. Note: click ‘Log in to Production’ if you are logging in to your Developer Edition org. 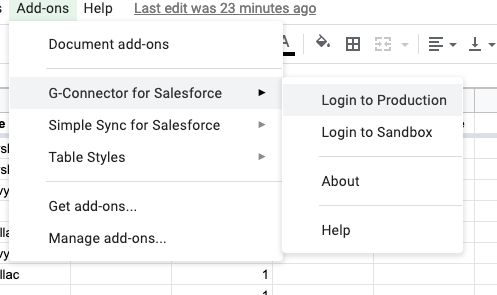 After you click the Login to Production menu item, a dialog box will open where you’ll need to click Login again to proceed to the regular Salesforce login screen where you can authenticate. Clicking the blue Login button will open a new tab where you’ll be able to authenticate with Salesforce.com. 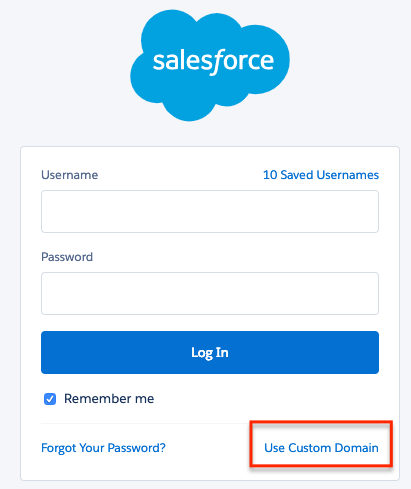 If you are using a custom URL to access your Salesforce org, click the ‘Use Custom Domain’ button at the bottom right. On the Salesforce side there’s also a set of permissions we need you to give us. 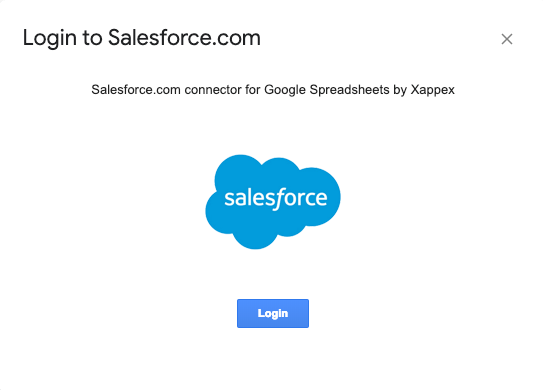 We need to have access to your data in order to pull it to Google Sheets and push back to Salesforce. In order to be able to refresh your data on a schedule, we need to be able to keep a refresh token and have access to your Salesforce data offline.